First visit. Doctor was courteous and attentive. Took the time to hear my concerns and made me feel comfortable and acknowledged. (Compared to some doctors that make you wait forever and then see you for 5 mints. They are writing a prescription before you finish talking) Looked at the medical history and seemed very knowledgeable and experienced. Hopefully diagnosis and treatment given will help. I guess we will see. Overall liked very much the doctor and staff. First visit. Doctor was courteous and attentive. Took the time to hear my concerns and made me feel comfortable and acknowledged. (Compared to some doctors that make you wait foreverand then see you for 5 mints. They are writing a prescription before you finish talking) Looked at the medical history and seemed very knowledgeable and experienced. Hopefully diagnosis and treatment given will help. I guess we will see. Overall liked very much the doctor and staff. He is very knowledgeable and is aware of who my other Dr 's are so I feel I can get allaround great care. He is very knowledgeable and is aware of who my other Dr 's are so I feel I can get all around great care. Uvaldo Cantu is a concerned and engaged OB-GYN caring for the communities of Harlingen and Weslaco, TX. Dr. Cantu attended the University of Texas, Southwestern, where he received his medical degree, and completed his residency in obstetrics and gynecology at the Albert Einstein College of Medicine of Yeshiva University. He also completed his bachelor's at Texas A&M University. Dr. Cantu is a part of RGV Women's Health Center. He is board certified by the American Board of Obstetrics & Gynecology. 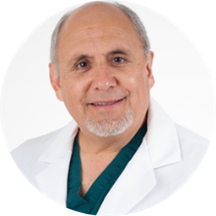 Dr. Cantu is a member of the American College of Obstetrics and Gynecology, and the American College of Surgeons. Dr. Cantu is devoted to ensuring the longevity of his patients’ health and developing long-lasting relationships with them. He takes his time to understand symptoms and give correct diagnoses to ensure the continued health of all his patients. He gives each patient his focused attention, and he prides himself on delivering the best treatment available.